As my convalescence comes to a close, I've decided to catalog the tea that has sustained me throughout the ordeal. The British are right, really. A cup (or several gallons) of tea will fix things. Normally, I'm a sweet tea man when the chips are down. Strong brewed cheap black tea, plastic cup with ice, and enough sugar to kill an army of Wilfred Brimleys. But since green tea is all sorts of good for you, and I AM on medical leave, I figured I'd try to work a bit of that in there as well. Made with HFCS, sadly, but it was CHEAP. And served ice cold, it's not too bad. But it's no green tea. Not at all. 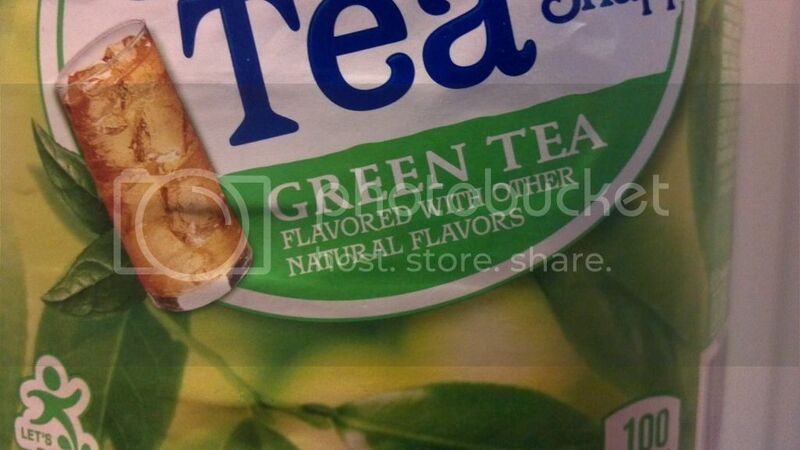 See that wee little sentence that says "Flavored with other natural flavors"? The flavor, I guess, they were going for...was melon. It tastes pretty much like either cantaloupe or the rind of a watermelon. The only thing that hints that there's tea (concentrate) in it is the fact that after about a half of a glass your mouth, lips, and throat are coated in a tannin pucker that you could crush marbles with. Drink enough and it's difficult to swallow; the tannins just catch in the back of your throat and form a phalanx against anything that dares try to pass. That being said...it hasn't really slowed me down. That jug up top is almost empty. Thrown on ice you barely notice the tannic nature and, frankly, I kinda enjoyed the surprise melon flavor. But don't buy it expecting a light green tea experience. Would I buy it again? No, not what I want. It was a (surprising) change of pace that broke things up for me (I've been drinking sweet tea and a gallon of water every day for three weeks) so that was nice...but it's not really tea. I'll probably try and find the black to try that out and see how it goes. Maybe...hopefully...better. 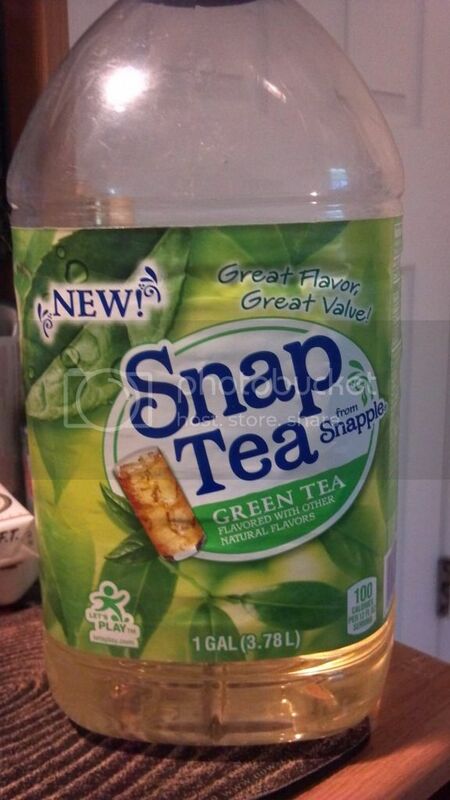 Snapple has never really nailed any tea that they've tried, IMO. However, did you ever try their lime green tea? It may still be in production, but it was available for years around the turn of the millenium. It was the only bottled drink I've ever had that tasted of real fresh-squeezed lime, as opposed to the "green drank" lime that's in most candy and soft drinks. I bought some and read the ingredients after and was greatly dissapointed. Mega sad face. I wonder if it even contains antioxidants. Oh how I miss the Lime Green Tea! It was truly addictive when served ice cold. I bought the lemon snap tea thinking it was regular snapple tea. I drank some, its flavor burned my throat and I threw the rest of the gallon away. It was bad. I'm sticking to non-HFCS snapple tea. Well, tea has always indeed been an antique tradition for the English folks which has hugely influenced many others over the years. It must be the absolutely calming sensation that a person experiences with every sip of the drink cased by its just-perfect warm temperature and the smooth and not forgetting its truly aromatic taste. Anyone feeling the need to find something to relax them down, should always immerse themselves with something calming and not something damaging like alcohol.